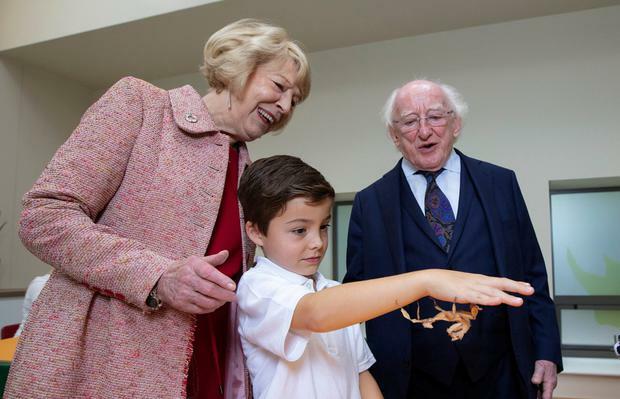 President Michael D Higgins paid a visit to his neighbours in Dublin Zoo to unveil a new learning and resource centre. Mr Higgins, who did not take questions from the media, delivered a passionate speech on the importance of the zoo in education around conservation and the need to protect the environment. He said Dublin Zoo, with more than 600 animals, was a world leading facility which was doing valuable work in areas including the protection of endangered species and peat conservation. The €3m discovery and learning centre is a state-of-the-art facility which Mr Higgins said will be a “living classroom”. The centre will provide immersive education experiences in biodiversity, wildlife conservation, ecology and zoology. The new building includes two classrooms, a lecture theatre and a discovery centre. It is home to a full-size giraffe skeleton, a model of a southern white rhinoceros, a pair of African lions and a nesting ostrich. 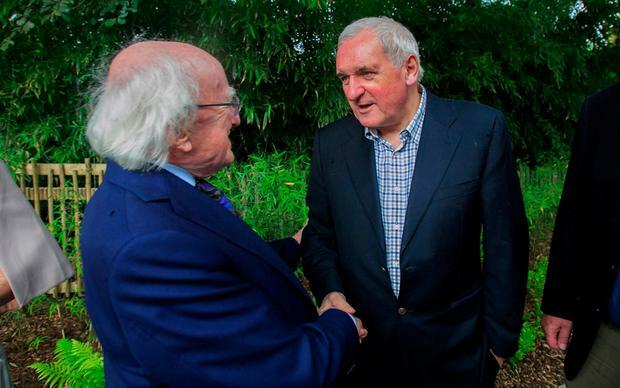 Former Taoiseach Bertie Ahern was among the guests who attended the opening of the centre and the pair were pictured together. Mr Higgins, who is due to begin campaigning for a second term in office in the coming weeks, also spent time with guests posing for pictures. He has yet to participate in an interview on his decision to seek a second term, but it is expected that he will take part in interviews and debates when the campaign begins.